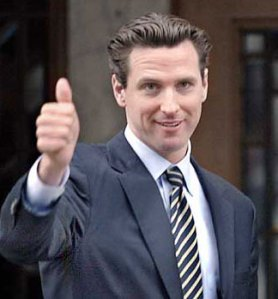 Newsom not wasting any time in quickly creating new taxes for Californians. As reported by SF Gate: In order to help disadvantaged communities obtain safe and affordable drinking water, California Governor Gavin Newsom is proposing a new statewide water tax. The details of the proposed tax are unknown, but a similar proposal was abandoned by then-Governor Jerry Brown last year after failing to garner enough support in the legislature. California residents would have been taxed 95 cents a month, or $11.40 a year, under that plan. On Friday, Newsom took his Cabinet on a trip to the Central Valley to hear from residents who lack clean drinking water. “We met with residents who cannot drink or bathe with the water in their homes — while paying more for it than those in Beverly Hills,” the governor tweeted. This entry was posted in Health Care, Liberals/Democrats/Left, Science & technology, Taxes, United States and tagged Association of California Water Agencies, Calfornia State Water Resources Board, California. Bookmark the permalink. California has a budget surplus ? ? ? The next thing this jackass might try to tax is air. What about requiring an occupancy permit for walking on a public sidewalk? How did this nitwit get elected? More to the point, why do Californians put up with this B.S.? And just how many illegals are in California? Get rid of the illegals, there’s enough safe drinking water for everybody legal. Desalinization plants also work. Expensive, but not as expensive as the illegals are to California’s economy. If CA would stop draining rivers into the Pacific, there would be an abundance of water. Unfortunately, so that those evil and in command can deprive all the rest of humanity of basic resources created by God for all mankind, those in power seek to deprive us of them to gain even more power. Global robbery. Miss GCD, would the lady like a little more H2O in her fluoride? Yeap, grab the money where ever you can find it. Tax us for breathing. Be ready-if it can be measured,it’ll be taxed into oblivion. Socialism at its finest…. Unless people want to live behind the new “iron curtain”, they’d better get out now. Sewage, AIDS and taxation, oh my! What’s not to love? Liberal lunacy at its finest. Tax to “conserve” water while allowing in millions and millions of water using invaders! I suggest to the governor to setup urine collection stations for processing into clean water, triple tax for collection and processing and dispensing, sounds like a winner!